It certainly is a sports club with a difference. 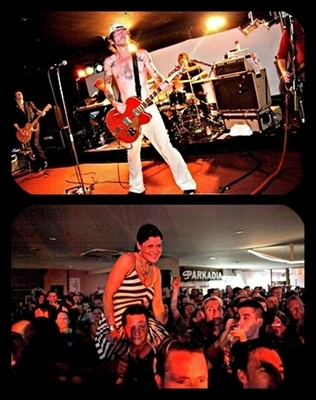 As well as the regular services provided by sporting clubs, Manly Fishos is one of the few venues left in Sydney that features regular live bands and comedy acts. Some of the performers that have graced the stage include Wolfmother, INXS, Regurgitator, The Hoodoo Gurus, You Am I and Austen Tashus. The venue is also a haven for up and coming musical talent. We all know that it's a long way to the top, but Fisho's is a well recognized springboard for many talented young musicians on their way. There are drinks and entertainment promotions galore each week with $2.50 Heinekens each day and $3 ciders. Mexican themed Wednesdays are very popular with $3 Coronas, $5 margaritas and $7 Nachos. A cheap night out and loads of fun. La Sera Restaurant is open daily, and the bistro menu is one of the most reasonably priced on the Northern beaches. There are pool tables, big screen TV's, and Keno (Including Keno Touch) facilities – and if you're looking for somewhere reasonably priced for your next function, you could do worse than to have it at Fishos. 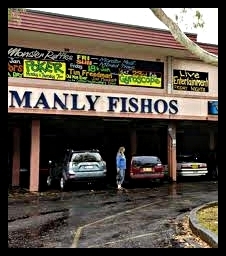 Manly Fishos is not a flashy venue by any means, but the locals love it, it's a great cheap night out and it'll be no surprise if the next band to become famous can say "it all started at Fishos".